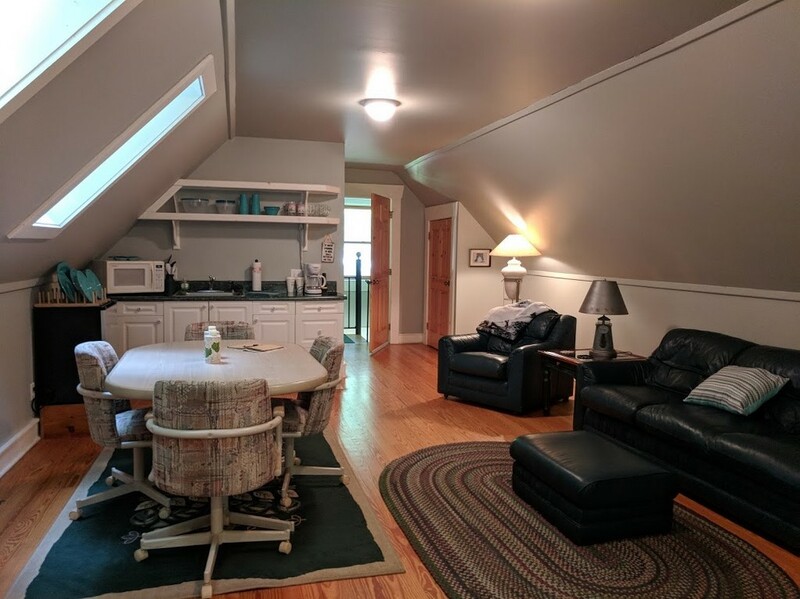 Our open floor plan apartment is ideal for one or two people who don’t need the space of the log home, or are on a budget. If you need a quick getaway from your daily routine this could be your destination. A two night apartment rental is all inclusive under $200! (a reduced nightly rate applies to apartment). The private apartment is located above the detached 3 car garage, but only steps from the main log home. 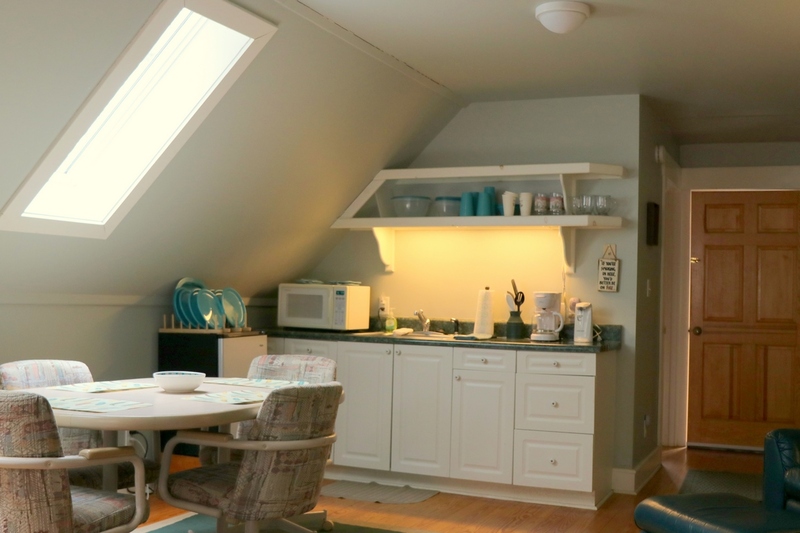 It is light and bright with natural light from 3 skylights. This furnished apartment includes a kitchenette with a microwave, apartment size refrigerator, coffee maker, plastic dishware. The economy style kitchen dishware make them useable for outside dining at the teepee after cooking at the campfire! Sleeping area offers a queen size bed. Spacious full size bathroom has a shower. Apartment is accessed from main level garage by way of a spiral staircase. Paper & soap products, linens, towels, coffee are provided. popularity of the main home- Wilderness Lodge. (in other words… short notice availability during those times). We do NOT rent the apartment to separate individuals when the log home is rented. last but not least… 200 acres of wilderness to explore! Note: Wi-fi may not connect to your device/s as the modem is in the log home.